You just sat down to stitch, the baby is sleeping, the husband is busy and your project is calling you… You pick up your needles or hook and then you realize ouch that hurt. Really?… Yes. Really? How disappointing as you were finally looking forward to some time to relax. Scenario: You just returned home from your latest stash enhancing trip to the yarn shop, with a new pattern in hand, freshly wound yarn (can you smell that wool… heavenly?) and you sat down for a marathon of stitching which you do regularly… but there is a difference instead of your usual choice of cables you decide to learn how to knit entrelac or crochet entrelac.You sat intently and are making progress but now when you go to pick it up there is pain. Scenario: The storm of the season has rolled into to town to stay for a while and the change in weather has caused your hands to ache and your arthritis to act up. Cause: A circumstance out of your control but maybe a little pampering can get you back to stitching in no time. Season: The season just changed and it was time to put down your favorite chunky yarn and have discovered a gorgeous lace weight yarn. The change changes the way you hold your needles and yes its time for your body to accommodate. Scenario: You just went to your favorite knit night at your fave local shop (mine is the Village Knitter on Thursday nights in Babylon) and Ms. Jane Knitter was touting the benefits of knitting her way (Continental, English, German, Portugese, Combination) and you rush home to learn this technique so you can join the cool stitchers next week and the result is … pain. Scenario #1: You got together this morning with your favorite tennis player and you play a killer game. Seriously you had to be there, you get home to stitch and now your elbow hurts…. Tip: Moist heat is better than dry heat as it penetrates deeper into the muscle tissue. WARNING: Please follow manufactures instructions on the proper usage of the hot pack you purchase and also do not use for longer than 10 minutes to prevent burning. I hope that helps those suffering with stitching relating injuries. I will be blogging throughout the next couple days other ways to keep your stitching hands healthy. Would you like to know more… I am teaching at the national TKGA and CGOA conference on Sunday July 27th from 9 am-12 pm a class called Healthy Hands which an experience based class that will teach you how to keep your hands healthy! 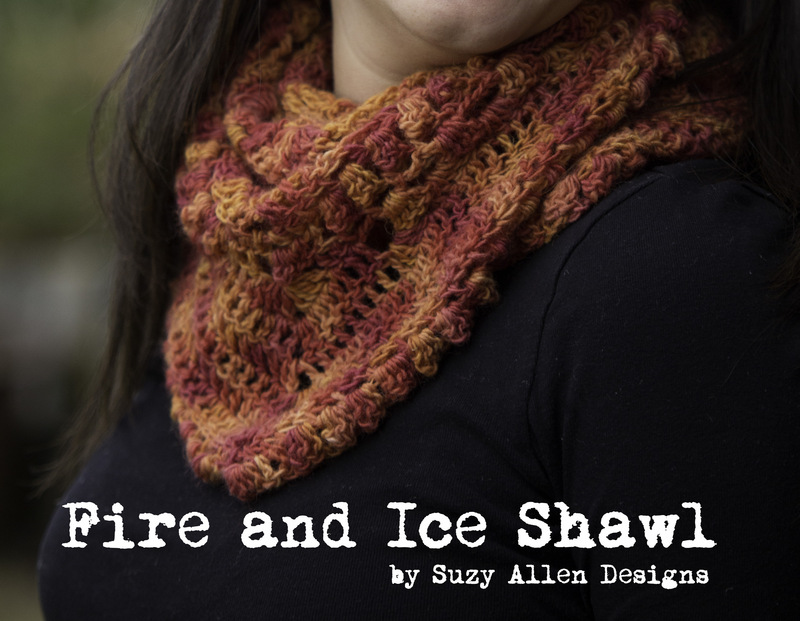 Posted in Uncategorized and tagged athletic, cgoa, crocheting, healthy hands, hobby, injury, knit and crochet show, knitting, manchester, miles, nh, stitching, tkga. Bookmark the permalink. Happy National Crochet Month! 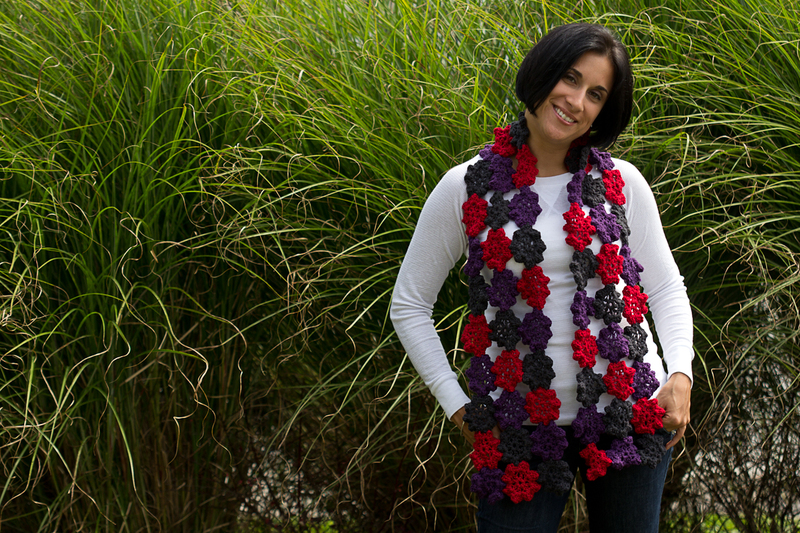 I am so excited to be apart of the Crochetville’s 2014 National Crochet Month Designer Blog Tour! What an amazing time when many crochet designers come to together to celebrate what we love to do. Crochet is a unique art that is not only gorgeous but portable and super fun. It can tap into creative parts of your brain you never knew existed. I started crocheting after developing a love for handmade items I kept seeing. So while my boyfriend (now husband) at the time was in the hospital recovering from a splenectomy, I grabbed my first H hook and skein of yarn coupled with a Leisure Arts “I Can Teach Myself How to Crochet in One Day” and started my journey. My journey has been more fulfilling than I could have ever imagined. Crochet has helped me to not only be creative, but has helped me finish grad school as I crocheted in class to help stay focused on what the teacher was saying, start my first creative career selling finished items on Etsy and then developed into my current career as an independent designer with a successful shop on Ravelry (http://www.ravelry.com/designers/suzy-allen ). Also, the lines, the natural lace, branches, flowers and water features add a multitude of depth to inspire the crocheter. Many a stitch patterns have been chosen or developed after a trip to the park. Color plus texture equals a great fabric making a great canvas for design. To see how I took this inspiration and made it into designs. I will be posting a collection in my Ravelry Shop today! Check it out! This trip for inspiration is as close as your computer as you google crochet fashion to see the latest runway fashions or taking a walk through your local mall. Crochet has been an integral part of the fashion world since its inception. Crochet lace, creative placement of motifs and accessories are everywhere this season. A great place to see this is by taking a trip to your local Anthroplogie, J.Crew, and Free People. I often find inspiration for home décor by perusing the catalogs of Pottery Barn, Urban Outfitters and Williams and Sonoma. Luckily, I live close to New York City as well so the streets of the city also serve as my own personal runway show full of inspiration. Another great source of inspiration for me is getting involved in the supportive community that is the crochet world. My LYS, (local yarn shop), my local guild chapter (http://www.tkga.com/members/?id=16714646) , Ravelry (www.ravelry.com ), Facebook and of course Crochetville (http://crochetville.com/ ). I’d encourage you if your looking for inspiration to find a local yarn shop that supports and encourages crocheting. I’m very lucky to have one at The Village Knitter (http://villageknitter.com/ ). 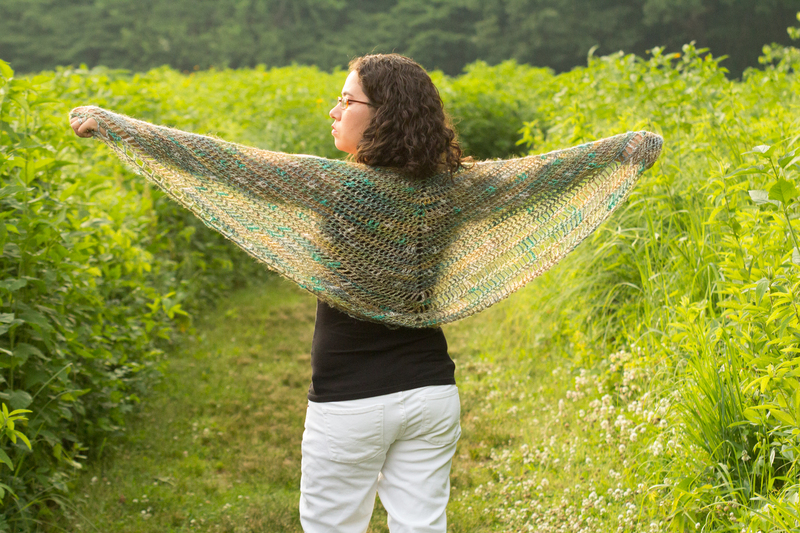 I love watching my friends creating awesome projects with gorgeous yarn. Often times, when one of us does a project inspires others to do the same. As the Vice President of my local chapter of TKGA and CGOA, the Eastern Long Island Knitters Guild (http://www.tkga.com/members/?id=16714646) we try to bring in programming that is inspiring and encouraging people to continue their journey in needlework. Not only do I participate in my chapter, I also visit other chapters to either volunteer, collaborate on a project or gain inspiration as well. For more great inspiration: check out National Crochet Month blog tour http://crochetville.com/blog/ . Also be on the look out for an ebook by all the designers on the blog tour with a great Spring Garden theme. Thank you to all the great people at Crochetville and CGOA. Thank you for being awesome ! A sneak peak of my Spring Garden contribution to the ebook is included in the photograph below. Posted in Special Yarn Events and tagged amy shelton, cgoa, ch2, chain two, coupon code, Crochet, crochetville, guild, hook. creativity, inspiration, knit and crochet show, local yarn shop, marly bird, nature, Ravelry, stitch patterns, Suzy Allen Designs, village knitter, yarn. Bookmark the permalink. Many of you read my last post, about designing for skier Tucker Perkins for the Stitch Mountain Book by Laura Zander.It was a blast to find the perfect stitch to match his skiing tracks down the half pipe. The next design challenge, Laura had for me was dear to my heart. She gave me her favorite athlete in the book to design for. His athletic accolades are already building, he finished his first solo ski in the winter of 2011, he has a standing challenge to Tommy Moe, and this very active and energetic little man aspires to be an Olympic Athlete in the 2026 or 2030 Olympic Games. He has already told many a people on the slopes that he’s so fast the ski patrol cannot even catch him! 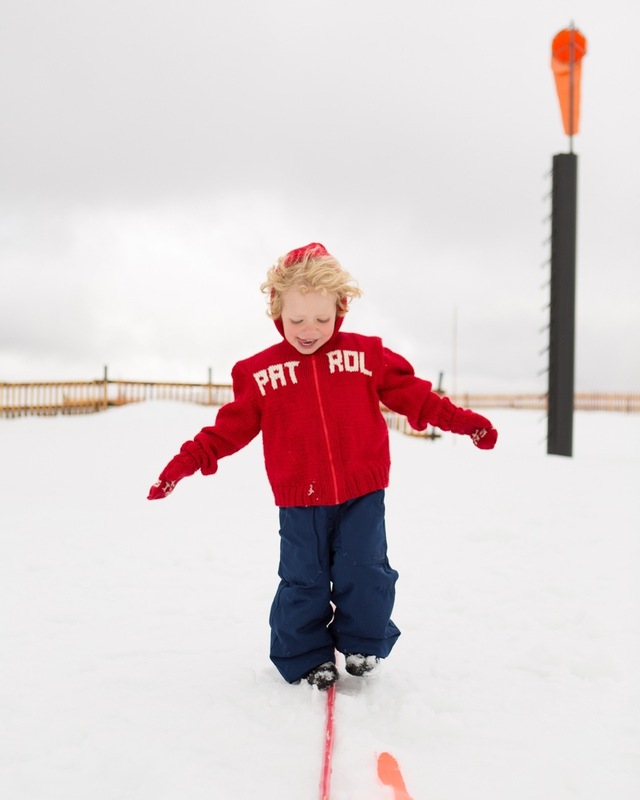 With a name like Huck, and a standing challenge to Tommy Moe, this budding speedster had to be dressed in a zip hoodie with ski patrol markings – so he can get on their good side from the start. He can be found hitting the slopes in the Reno area. 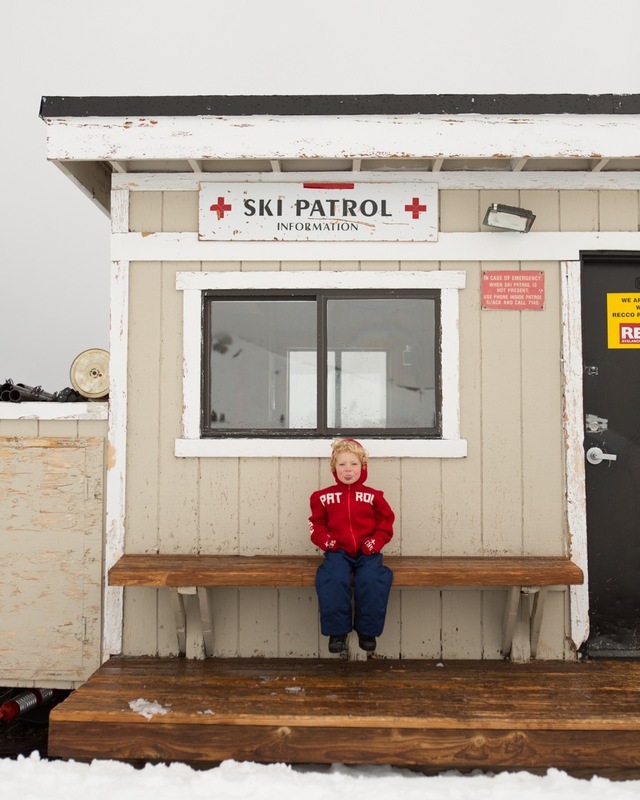 What better then to encourage him to reach his aspirations by knitting him a Ski Patrol sweater complete with matching mittens. His mother Laura, herself recollects his earliest athletic endeavors . She said he took his first ski run at the age of six months . . . in a baby carrier behind their house in Truckee, California. A year later he moved on to greater challenges by taking on the backcountry in a backpack. Huck took to screaming “More! More! Faster! Faster!” at the bottom of every pitch, inspiring his parents to transition him to self-powered descents completing the aforementioned first descent in the winter of 2011. When I got the book and was able to look through it my daughter saw Huck in the book and asked me if I knew him and if we could have a play date. She asked for a matching sweater so back to the needles I go to make her one. So Huck maybe when Cait is in the Olympic Games for figure skating or track and field you can get together for a play date! Thanks again to all the amazing people and companies who helped to make this book happen. To the crew at Jimmy Beans wool, your support and dedication to the needle arts are hard to match. Thank you to Soho publishing for their hard hours tech editing and working on the book layout. To our amazing photographer Brad, you rock! Thank you also to Red Heart for helping us with yarn support. Posted in Special Yarn Events and tagged blog tour, jimmy beans wool, knitting, Olympic athletes, red heart, skiing, soho publishing, stitch mountain. Bookmark the permalink. 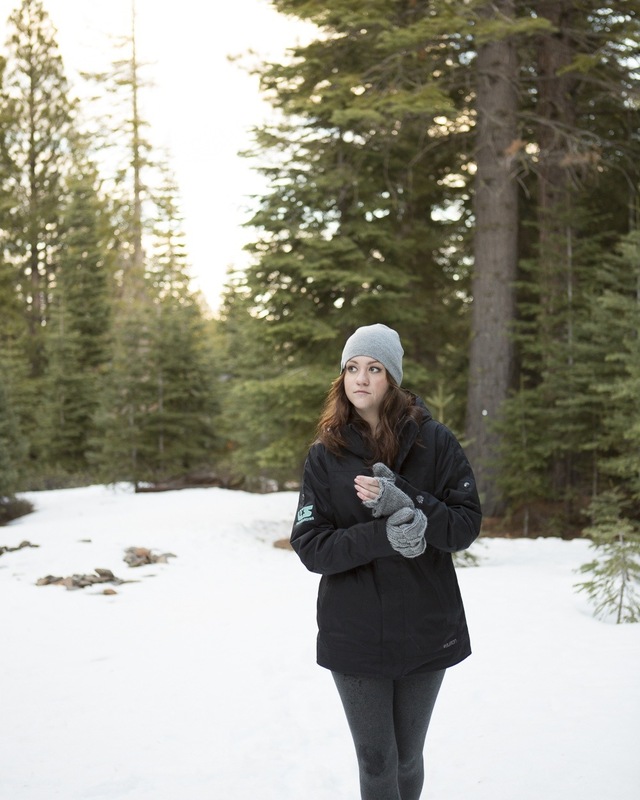 It is almost exactly a year ago when Laura Zander owner of Jimmy Beans Wool (www.jimmybeanswool.com) asked me to be a part of an awesome project called Stitch Mountain. A group of knitters were on the Today Show Plaza to promote Stitch Red, (www.stitchred.com) which is a campaign to promote awareness of Heart Disease in Women, Laura shared about her passion for skiing and how she was now putting together this book of knitwear designs just for skiing. We chatted about some potential designs and within a week or soI had a delivery of yarn and started knitting towards the deadline. My first design for this book was a set of convertible mittens that had been requested by an awesome skiier, Tucker Perkins. I researched his career and found out he is well known for his double corks. I remember watching him in the X games last year and loved the pattern his skis left in the snow. So after searching for the perfect stitch pattern. 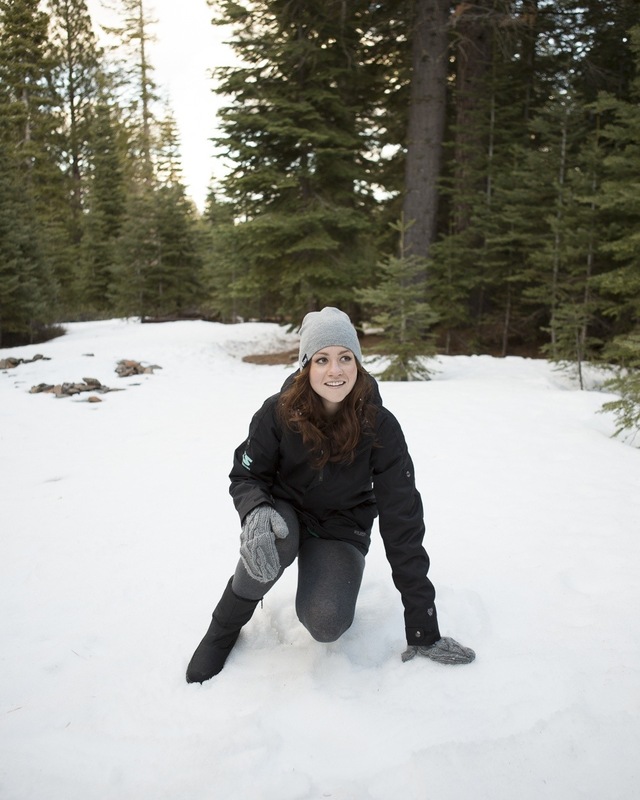 I found this one and made it the center of attention in these mittens. We even got to send Tucker his own personal pair. After announcing his retirement from the sport in December of 2013. I hope these mittens keep him nice and warm while he routes on his fellow athletes as they head to Sochi. For more information on Tucker’s amazing career highlights you can follow him on facebook https://www.facebook.com/tucker.perkins.5 , on twitter @tuckerperkins . The book features many awesome designers work including Kristen Asbaugh-Helmreich, Marly Bird, Toby Roxane Barna, Edie Eckman, Mary Beth Temple, Lorna Miser and many more. Other great athletes featured include Ann Cochran, Tommy Moe, Lindsey Jacobellis, Huck Zander (join us later in January for more) and more. Book is available at http://www.jimmybeanswool.com and your local LYS. Thank you to Red Heart, Jimmy Beans wool and Soho Publishing for all their support on this project. 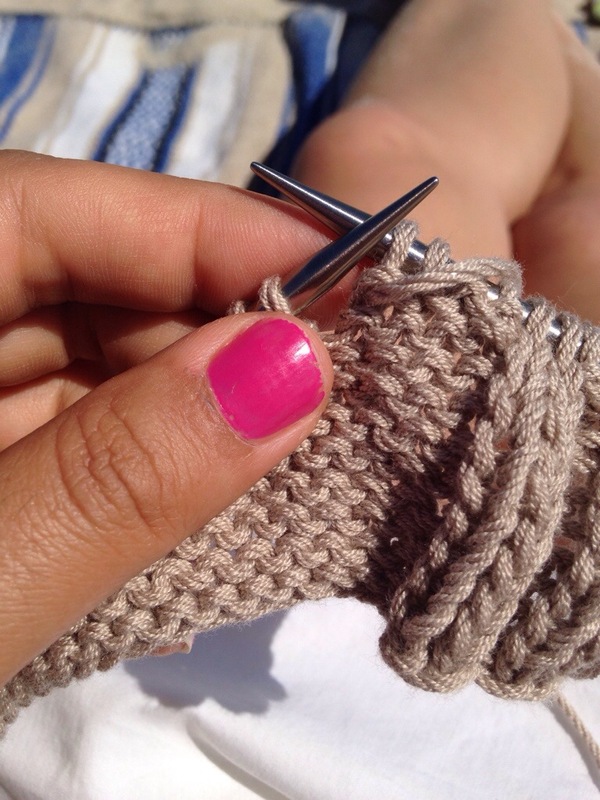 Posted in Special Yarn Events, Uncategorized and tagged DIY fashion, knitting, Olympics, skiing, Sochi, stitch mountain. Bookmark the permalink. Knit night at my local yarn shop (LYS), The Village Knitter in Babylon, NY was canceled due to the impending doom of the blizzard. But alas, our community is to strong to be deterred by a little bit of snow, we had knit night anyway using the chat feature on Ravelry (www.ravelry.com). So fun, we were able to chatter and knit, although as usual I think I was doing more chatting then knitting. Our personalities were well represented. We could even shop using their website while we chatted. For me it was a new adventure in the yarn world. Thanks Angela , Erika, Karin, Karen, Karen, Lisette, Stephanie and Anne. To round out the day, I read the preface to Clara Parkes, The Yarn Whisperer! I totally love her way of writing and can’t wait to experience yarn through her words. My favorite quote so far is ” A good yarn is better than any table at Le Bernardin”. Posted in Adventures in Yarn 365 and tagged blizzard 2014, KAL, karuta, knitting, knitting fever, Noro yarn, the village knitter. Bookmark the permalink. 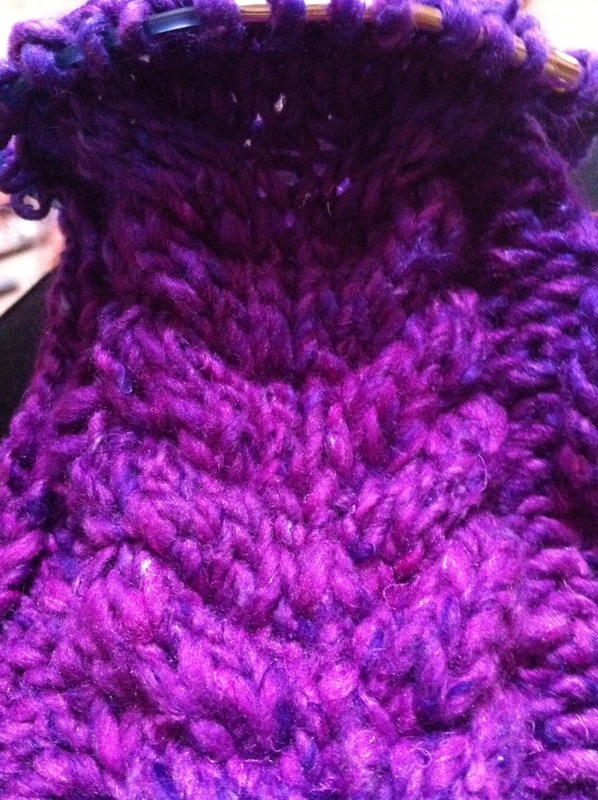 Posted in Adventures in Yarn 365 and tagged blizzard, KAL, knitting, knitting fever, Noro. Bookmark the permalink. Many creative disciplines invite their artisans to spend a year immersed in their passion. Photographers have invited people to take a photograph every day for 365 days and see what beauty they can find. Artists ask those who love art to draw or paint something everyday and watch their skill develop. As a passionate yarnie, I invite you to spend a year in fiber. Many days will be exciting and fun when you wish it won’t end, others day will be frustrating filled with frogging and choice words and yet some will be mundane and boring. What will you discover? The possibilities are endless…. I encourage you to keep a journal in whatever format you choose , here’s my entry for the day! Today was quite a jam packed day in my first yarn adventure of the year. It started actually at 12:01 am on my way home from a great New Years Eve celebration with family. An email had arrived in my inbox stating that a local yarn shop was closing its doors. Sadly, due to the recent economic hardships and Hurricane Sandy she could no longer keep her doors open. Earlier this week, Trisha Malcolm , editor of Vogue Knitting had posted an article on her Facebook page on how a small local baby shop located in Brooklyn had to close its doors for similar reasons. Friends need I urge you this year while on your many fiber adventures, SHOP LOCAL and SHOP OFTEN. (Sorry for the shouting) There are so many great shops across America it’s up to you to help keep them often. When you travel find them, when someone talks about one listen, many of our favorite online retailers are attached to brick and mortar shops like Jimmy Beans wool, Kaliedoscope Yarns and Metaphor Yarns choose those that support their local economy. You’ll be thankful you did. As your can all see I am a very passionate yarnie, on a lighter note, I was able to enjoy some leisurely knitting at my friend Annie’s house this morning while we had brunch and watched our children play. What a great time to enjoy some easy breezy knitting. 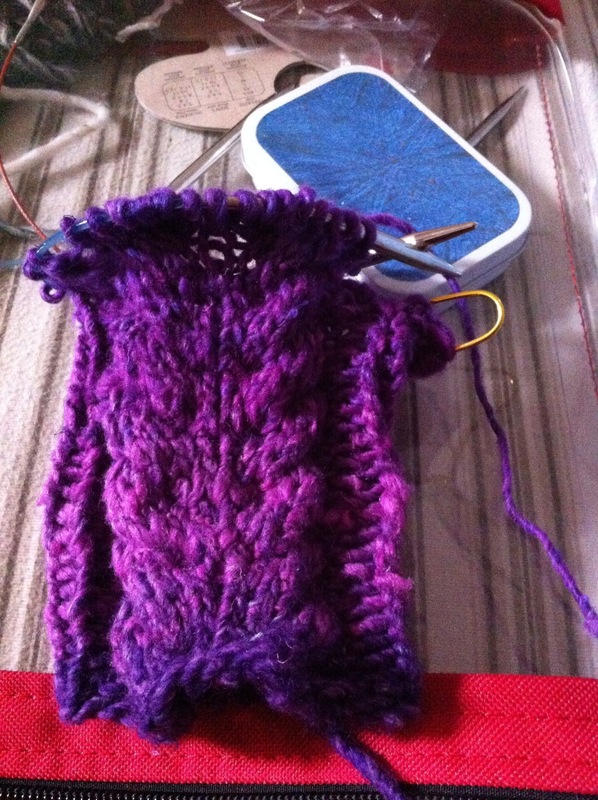 ( I was knitting with Cascade’s Lana Grande, a fun quick knit). I stopped to read a book to the girls and then returned to my leisurely knitting. When we returned home, my sweet little one settled down for a great nap so hubby edited photos and I started sorting out the see of patterns to be written. Hopefully you will all enjoy the many patterns to come out of the fruits of my labor. Won’t you share your adventure in fiber with me ? I’d love to hear it! Posted in Adventures in Yarn 365 and tagged 365 day challenge, creativity, crocheting, Fiber, knitting, yarn. Bookmark the permalink.